HAVING HIS MOMENT: Holness greets the large crowd on his big day at King's House. Impeccably turned out in a strong suit and a vivid blue tie, Andrew Holness took the oath of office as Prime Minister of Jamaica for the second time in his political career on Thursday. 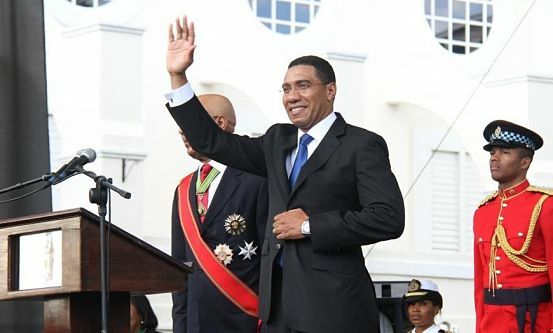 Addressing the massive gathering on the lawns of King’s House, under a warm Kingston sun, Holness gave a robust and captivating inaugural speech, in which he outlined plans for his tenure. He spoke at length about “forging partnerships for prosperity,” growing the economy and job creation, but we were particularly intrigued by what he had to say about the next phase of building Brand Jamaica. And speaking of family, for the new Prime Minister that’s absolutely paramount. “Family is the ultimate partnership, and that is why my government will focus resources on supporting family. By increasing the income tax threshold, we will restore the economic power of households to participate not only in growing our GDP, but more importantly in growing the general well-being of our society. 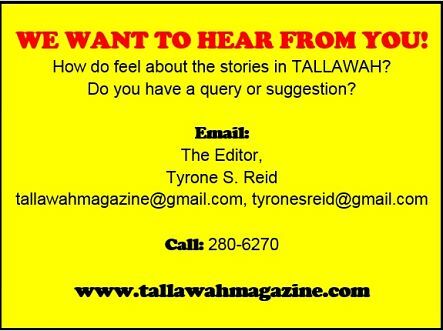 Our government will ease your tax burden, but you must invest and spend wisely,” urged the father of sons Adam and Matthew. His wife, Juliet, will join him in Gordon House as MP for East Rural St. Andrew.